Praxis training and technical assistance on institutional analysis provides tools for advocates and communities to reform the social institutions that respond to victims of violence against women. Change Seeker: Making Institutions Work for People is a bi-annual e-newsletter that features foundations of Institutional Analysis, recent projects, new tools, answers to TA questions, upcoming training events, and interesting applications of Institutional Analysis. We hope it helps you to succeed in your system reform efforts! Email safetyaudit@praxisinternational.org for individual support, feedback, or more information. Project Spotlight: How are County-Based Child Welfare Agencies Organized to Implement the Indian Child Welfare Act? Minnesota has the highest documented American Indian child welfare disparity in the country. St. Louis County is one of the three counties with the highest number of American Indian children in out of home placement. In 2016, with funding from the Department of Health and Human Services through the Children’s Bureau, Jii – anishinaabe – bimaadiziwaag (So they can live the Indian way of life, in the Anishinaabe language) Tribal-State Partnership Project was formed in northern Minnesota to understand how such disparities come about and develop institutional practices that embed the full spirit and intent of the Indian Child Welfare Act (ICWA); i.e., to keep American Indian children with American Indian families. St. Louis County is the largest in Minnesota and has both “North” and “South” locations. Due to this and the complexity of the situation, southern St. Louis County and the child welfare system in Duluth, MN is the focus of this project. Jii – anishinaabe – bimaadiziwaag Tribal-State Partnership Project is led by The Center for Regional and Tribal Child Welfare Studies at the University of Minnesota Duluth and includes representation from Fond du Lac Band of Ojibwe, Leech Lake Tribal Court, Grand Portage Band of Lake Superior Chippewa, White Earth Nation, St. Louis County Public Health and Human Services, Sixth Judicial District, Sixth Judicial District Guardian Ad Litem, and Minnesota Children’s Justice Initiative (Court improvement project). Bree Bussey, HHS ICWA Coordinator for The Center for Regional and Tribal Child Welfare Studies, established the IA team in early 2017 with representation by experts in American Indian child welfare practice, ICWA, Minnesota Indian Families Preservation Act, the child welfare system, and Institutional Analysis. Praxis conducted a training on Institutional Analysis customized to this project in the summer of 2017. Since then, the team has conducted many data collection activities, such as mapping, interviews, observations, and in-depth case file review. Focus groups and interviews with American Indian families who have been involved in the child protection system were recently conducted through an arrangement with a local organization serving Native families. Praxis will continue to support this project through the completion of the Institutional Analysis and into the development and implementation of their model response. Jii – anishinaabe – bimaadiziwaag Tribal-State Partnership Project is part of a larger body of work on the implementation of ICWA and the Minnesota Indian Family Preservation Act (MIFPA) in St. Louis County, such as the recently established ICWA Court in Duluth, MN, the Native American Equity Project and the National Child Welfare Workforce Initiative. All of this work will be woven together over the course of the next four years to inform the development of a co-created inter-agency practice model that ensures proper ICWA implementation. 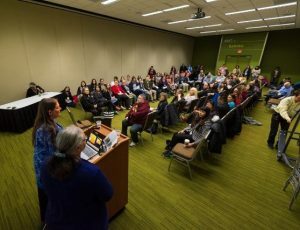 Priscilla Day and Bree Bussey, The Center for Regional and Tribal Child Welfare Studies, presented on this and related projects at the recent National Indian Child Welfare Association 36th Annual Protecting Our Children Conference, National American Indian Conference on Child Abuse & Neglect from April 15-18, 2018 in Anchorage, AK. For more information on this community’s experience with Praxis Institutional Analysis, contact safetyaudit@praxisinternational.org. Email safetyaudit@praxisinternational.org for individual consultation to you as you prepare for, plan, and conduct your community assessment. What are the best strategies to recruit a diverse range of participants for survivor focus groups we’re conducting for our Safety and Accountability Audit? We are a mainstream advocacy program coordinating the Audit, and we want to be sure to hear from as many diverse groups of people as possible. There are a lot of different strategies to conduct a successful focus group with survivors. In some ways, focus group recruitment success depends on your community demographics and context, your status/role in the broader community, and your connections with community leaders and organizations. If you, personally, do not currently have connections with community leaders and organizations that can facilitate access to a diverse range of survivors, you can lean on members of your Audit team to help make those connections. Planning, recruitment, and organizing is led by those known in the community. 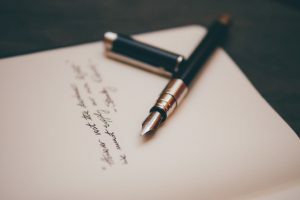 Community-based advocacy programs addressing violence against women will have the broadest connection with survivors in your community. If you are wishing to conduct focus groups with survivors with specific demographics, for example those from marginalized communities, it’s good to partner with culturally-specific organizations and leaders, such as your local Deaf advocacy organization, your local immigration assistance agency, or nearby Tribal advocacy program. Location matters; when possible piggy back on another event or meeting and/or go where survivors already are: community centers, culturally specific programs, LGBTQI centers, etc. Location will be accessible, for physical accessibility, but also close proximity to parking, public transportation, etc. Finally, here is a checklist to guide your planning and facilitation of focus groups. The Domestic Violence Best Practice Assessment Guides and Tools are available for communities who want to use the lessons learned from over thirty years of CCR efforts, research, and recommendations from more than seventy Safety and Accountability Audits to examine and enhance their system’s response to domestic violence and battering. Currently focused on 911 through charging responses to domestic violence, the guides direct small, interagency teams to identify ways to reduce erroneous arrests of women who are battered and use force, enhance risk and danger assessment and information-sharing, strengthen interagency linkages, and increase agency transparency and accountability for outcomes in the community. The process involves three main steps and requires three to six meetings over the course of up to six months: 1) Organize and prepare, 2) Map and examine case processing, and 3) Report findings and recommend changes. Contact us to think through whether and how to support Safety & Accountability Audits, community assessments, and/or best practice assessments in your community: safetyaudit@praxisinternational.org. This project is supported by Grant No. 2015-TA-AX-K056 awarded by the Office on Violence Against Women, U.S. Department of Justice. The opinions, findings, conclusions and recommendations expressed here are those of the author(s) and do not necessarily reflect the views of the U.S. Department of Justice.